The Astros weren’t supposed to be this good this soon. Thanks to maturing talent, shrewd investments, and a fierce commitment to a controversial rebuilding process, however, they’re leading the AL West before the top-prospect cavalry even arrives. The future has a way of sneaking up on you. One minute you’re listening to “Pomp and Circumstance” while wearing a gown and tassel; the next you’re living in a closet-sized studio and eating ramen noodles twice a day. One minute you’re checking the First Response kit for the second pink line; the next you’re elbow-deep in dirty diapers. One minute you’re the laughingstock of baseball; the next you’re running away with your division. The results were predictably disastrous, but the organization continued to operate as if business were usual and its talent weren’t evaporating. By 2009, the roster had long passed its expiration date. The Astros lost 88 games and were outscored by 127 runs while fielding both the oldest lineup and the oldest pitching staff in the majors. They had neither a present nor a future. By the time ownership and the front office acknowledged that the iceberg had struck the ship, the cabin had flooded. The Astros lost 106 games in 2011, 107 in 2012, and 111 in 2013, becoming just the second team (along with the expansion Mets) to lose 106 or more games in three straight seasons. By the end of 2011, the Astros had a new owner in Jim Crane and a new general manager in Jeff Luhnow. The change at the top didn’t stop the losing; on the contrary, it accelerated it. But at that point, at least, it was by design. Luhnow understood that, particularly given the new CBA rules governing the draft, the fastest way for a bad team to become good was to become really bad first. Every veteran player with an iota of trade value was sent packing. The Astros cycled through a gaggle of failed prospects and presumed Quad-A players in search of a diamond in the rough.4 They lost more games in 2012 than they had in 2011, and more games in 2013 than they had in 2012. But they also got the first pick in the 2012 draft, and they cut a deal with 17-year-old Puerto Rican shortstop Carlos Correa. They got the first pick in the 2013 draft, too, and used it to sign Stanford pitcher Mark Appel. And then they got the first pick in the 2014 draft, becoming the first team to land the no. 1 overall pick three years in a row. The rebuilding process under Luhnow hasn’t been pretty, and the ugliness hasn’t been sugarcoated: For three years, the Astros didn’t even pretend to go through the motions of trying to win. But despite that, the approach has made all kinds of sense. By losing so many games and earning so many high draft picks, the Astros have added a substantial amount of elite talent in a very short amount of time. Young, unproven, and possibly illusory talent, but elite talent nonetheless, and so much of it that last summer, Sports Illustrated, without a trace of irony, placed the Astros on the cover alongside the already-infamous headline: “Your 2017 World Series Champs.”5 At the time, plenty of critics mocked such foolish optimism, and even those of us who were onboard with the Astros’ plan were a little taken aback by SI‘s audacity. Now, it seems that the only foolish part was saying that the Astros might have to wait until 2017 to contend. 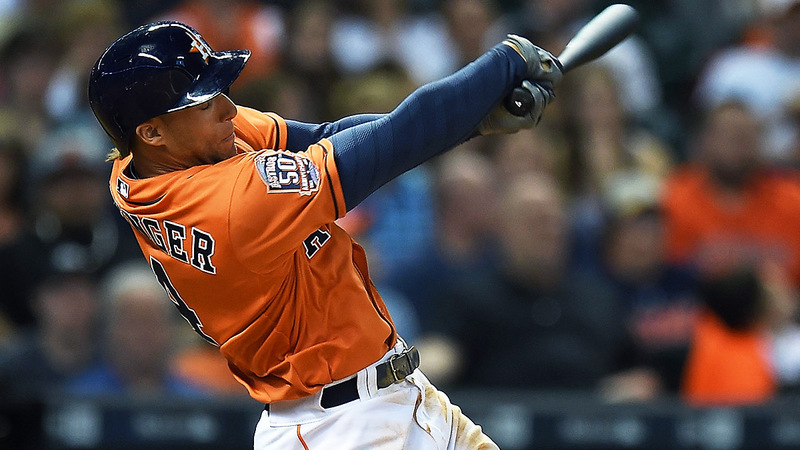 Last season, the Astros finally woke up from their self-imposed hibernation. They started signing free agents who could help win games in the short term, like Scott Feldman and Chad Qualls, and started bringing up the first wave of their prospect haul, including George Springer and Jon Singleton. Only the Angels improved their record by more than the Astros’ 19-game jump in 2014. Houston still went just 70-92. • On June 3, the Astros called up Singleton, who was hitting .267/.397/.544 in Triple-A — and announced concurrently that Singleton had signed a five-year, $10 million contract with three club options, making Singleton the first player to sign a long-term contract while still in the minor leagues.6 Some argued that the timing of Singleton’s call-up suggested that the Astros used the impending Super Two deadline as leverage to get Singleton to agree to the deal; if he had lingered in the minors a couple of more weeks, he would have qualified for arbitration a year later and potentially lost millions. Some — including Bud Norris, whom the Astros had traded away the year before — thought Singleton had sold himself short by accepting a contract that guaranteed him relatively little money. What could have been a PR coup for the Astros turned into a narrative of a billion-dollar corporation gaming the system to take advantage of a minor leaguer. • The Astros bungled negotiations with the 2014 no. 1 pick, high school left-hander Brady Aiken. The negotiations began smoothly enough, with both sides generally agreeing to terms immediately after the draft, but when a post-draft physical revealed an anomaly in his ulnar collateral (i.e., Tommy John) ligament, it triggered Götterdämmerung. The Astros withdrew their $6.5 million offer; Aiken’s camp refused even to respond to the Astros’ $5 million offer as the final minutes before the signing deadline ticked down. The Astros failed to sign Aiken, and because of the draft’s signing cap rules, they could no longer afford to honor the $1.5 million commitment they had made to Jacob Nix, their fifth-round pick (and, as the money pledged to him indicates, a first-round talent). Nix, who had done nothing wrong, filed a grievance; both sides came to a settlement in December. Three years after Luhnow was hired and four years after the Astros lost 100 or more games for the first time, they entered 2015 with more young talent than they’d had in a decade, and with a legitimate shot at reaching .500. But they had also developed a reputation for taking analytics to an unflattering extreme, for treating cold hard numbers with reverence but actual humans with disdain. And they had squandered the once-in-a-lifetime opportunity of having three consecutive no. 1 overall picks. While they appear to have nailed the first of those picks in Correa, Appel remains a massive question mark, and Aiken is so angry with Houston that he refuses to watch Apollo 13 on pure principle. The Astros’ vindication began before this season even started, though. Ironically, Singleton’s woeful rookie campaign softened the perception of the team: It was hard to claim that Houston took advantage of its first baseman after he hit .168 in 362 plate appearances7last year, or now that he’s making millions while playing in Triple-A. Singleton sacrificed some upside to protect his downside, and the benefits of that trade-off are now apparent. Meanwhile, this March, Aiken left his first start for IMG Academy’s post-graduate program after just 13 pitches. He underwent Tommy John surgery a week later. Maybe the Astros had a point after all. That alone might have been enough to rehabilitate the reputation of Luhnow and his analytics team,8 but amid the Astros’ scorching start, it’s a footnote. On Tuesday night, the Astros became the first team in the majors to reach 30 wins. Considering that exactly 0 of 88 ESPN experts9 predicted that the Astros would win the AL West this year, you’d think that Houston lapping the field to this point would be shocking. And it is, although maybe not that shocking: The general consensus this offseason was that the Astros were only a year or two away from being contenders. Far more shocking than their place in the standings is how they’ve gotten there. The Astros haven’t made it to first place on the backs of their youth movement, which is still in its infancy. They’ve made it there because of the maturation of the talent that was already on hand from last year, as well as a modest but shrewd investment in the free-agent market. A five-word offensive philosophy began to define the team last season: Grip it and rip it. The Astros were third in the AL in 2014 with 163 home runs, but that power came at the expense of everything else. They ranked last in batting average (.242), last in strikeouts (1,442), and 13th of 15 teams in OBP. That formula didn’t work so well: The Astros finished next-to-last in the AL in runs scored. They’re employing essentially the same approach this year, ranking last in the AL in batting average (.234), 12th in OBP (.304), and last in whiffs. But the cost-benefit analysis is different this year, because while the costs are the same, the benefits are vastly greater: The Astros lead the majors in home runs, and after finishing last in the AL in doubles in 2014, they’re in a three-way tie for fifth with the Yankees and Tigers in 2015. Their modest improvement in power has had an outsize impact on their ability to score runs: They’ve jumped from 14th to sixth in the AL in runs scored. When they hit two or more homers in a game, they’re a perfect 18-0; when they don’t, they’re 12-18. In addition to leading the league in homers and strikeouts, the Astros are also tied for first in the AL in stolen bases (after finishing second last year). That’s downright weird, because the chief utility of a stolen base is to move a runner from first to second so that he can score on a single, but the Astros have the fewest singles in the AL for the second straight year. Speed on the bases comes in handy with an offense that makes a lot of contact and doesn’t hit for much power, as we saw with the Royals last October. Speed isn’t particularly useful when the next batter is likely to strike out or send a pitch into orbit. This seems dysfunctional, nonsensical. But as Jayson Stark wrote, while the trifecta of leading the league in homers, strikeouts, and steals is almost unprecedented, two of the four teams to have done it, the 1976 Reds and 1938 Yankees, won the World Series. And so far, at least, it’s working for the 2015 Astros. The other key to the Astros’ success is their bullpen. Houston’s starters rank a pedestrian seventh in the AL with a 4.28 ERA, but their bullpen has a collective 2.13 ERA, second in the major leagues behind only the cyborgs in Kansas City. And unlike their home run power, the Astros found this key hiding in the potted plant this season. They ranked dead last in the majors in bullpen ERA each of the past two years, and they haven’t ranked higher than 26th MLB-wide since 2009. All those runs translate into losses; the Astros led the majors in 2014 with 11 losses in games they led after seven innings, and they led the majors in 2013 with a remarkable 17 such losses. Here’s how good the Astros’ bullpen has been in 2015: If games ended after six innings, their record would be a modest 21-20, with seven ties. They’ve gained 5.5 games in the standings from the seventh inning on. The Astros’ overnight turnaround illustrates a rule of thumb about bullpens: It’s not that hard to build a good one if you actually care to.10 Throughout the rebuilding process, the Astros’ bullpen suffered from benign neglect. Why devote resources to the bullpen when 1) you’re not trying to win and 2) you know that when the time to win does come, you can pretty effortlessly flip a switch and build a strong pen on the fly? The Astros started flipping the switch before last season, signing the often-dependable, rarely dominant veteran right-hander Qualls to a modest two-year, $6 million contract,11 and Qualls acquitted himself well enough in 2014 as the team’s primary closer, posting a 3.33 ERA. Qualls has pitched a little better this year, but has moved down in the bullpen pecking order after the Astros went full-bore on fixing their relief issues this winter, signing Pat Neshek for two years and $12.5 million and Luke Gregerson for three years and $18.5 million. So far, Neshek has a 2.55 ERA and a strikeout-to-walk ratio of 16-to-0, while Gregerson has blown just one save despite being homer-prone. 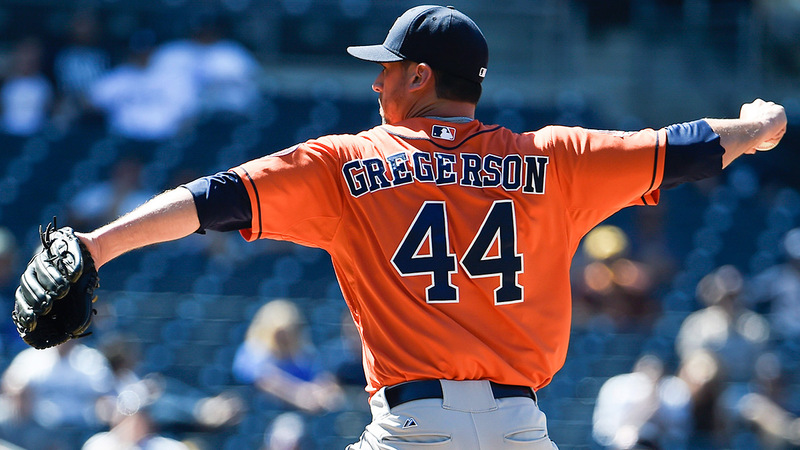 The Astros won that game anyway and are 21-0 in games in which Gregerson pitches, so it’s safe to say that his occasional struggles haven’t hurt the team. While the Astros solved half of their bullpen issues by throwing a little money around, they solved the other half simply by making good use of the free talent market. Tony Sipp was stuck in Triple-A with the Padres to start last season, but used an opt-out in his contract to leave San Diego on May 1 and sign with Houston. He allowed just 28 hits in 51 innings for the Astros last year, and so far this year has a 1.53 ERA in 17.2 innings. Josh Fields, who has allowed just one run in 11.2 innings while striking out 20 since he was called up last month, was acquired in the Rule 5 draft before the 2013 season. And Will Harris, who has been one of the best relievers in baseball this year (one run and six hits allowed in 22.2 innings), was picked up off waivers from the Diamondbacks last November. The take-home lesson for rebuilding teams: Focus your resources everywhere except the bullpen. It’s an easy way to lose games when more losses might lead to a better draft position, and it’s an easy way to pick up wins when you’re ready to shift gears and invest in relief arms. The Astros have made upgrades elsewhere: New manager A.J. Hinch is a tactical improvement on his predecessor, and new center fielder Jake Marisnick has solidified the defense. But the biggest difference between the 2014 Astros and the 2015 Astros is the bullpen, and it’s not close. Harris’s success is emblematic, because like so many other key current contributors, he’s not a heralded young player. The lightly regarded prospects and overlooked guys have been driving the bus in Houston. Second baseman Jose Altuve (.299/.346/.428, AL-leading 15 SB) and catcher Jason Castro (.226/.297/.403), the two best young players inherited from the previous regime, have played well; George Springer, who’s hitting .230/.350/.434 with 11 steals in his sophomore season, tantalizes with flashes of greatness. But the best player on the team (and, by bWAR, the best pitcher in the American League) has been Dallas Keuchel, who — even after taking the loss in a complete game on Monday — ranks third in the AL in ERA (1.98) and second in innings pitched (72.2). Keuchel is the prized exhibit of a teamwide approach to pitching that, as Ben Lindbergh broke down earlier this month, emphasizes location (down and away, down and away) over velocity (the Astros have the lowest average fastball velocity in the majors). 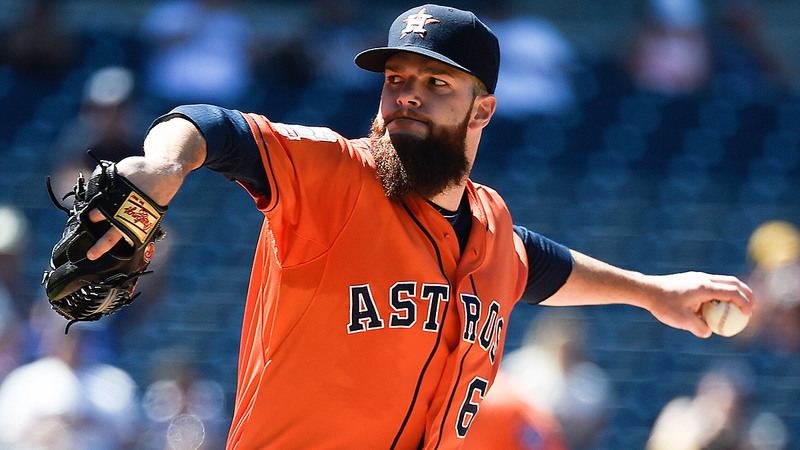 Keuchel’s fastball averages less than 90 mph, he was a seventh-round pick out of college, and coming through the minors he never ranked among the Astros’ top 20 prospects, according to Baseball America. Coming into 2014 he had a 5.20 career ERA in 239 major league innings. But he’s followed up his breakout 2014 (200 innings in just 29 starts, 2.93 ERA) swimmingly and remains that rarest of pitchers, a left-handed sinkerballer: He led the majors with a 63.5 percent ground ball mark last year, and leads the AL with a 63.3 percentage this year. In 273 innings over the past two seasons, he’s allowed just 14 home runs. That’s how to succeed without premium velocity. Strom has been an industry maverick for many years, and this pitching staff is one of his masterpieces. Keuchel’s emergence alone would be enough, but the Astros also claimed Collin McHugh off of waivers from Colorado after the 2013 season, a transaction that attracted all the hype you’d expect for a 26-year-old pitcher who had an 8.94 ERA in 47 major league innings. McHugh’s breakout in Houston was the perfect melding of analytics and coaching: The analytics team loved him because the spin rate on his curveball — an indication of how much potential break the pitch has — was way above the major league average. They claimed him, and Strom worked with McHugh to shelve his sinker and focus on contrasting his killer curveball with four-seam fastballs up in the zone. In 35 starts since joining Houston, McHugh has thrown 218.1 innings with a 3.17 ERA and 209 strikeouts against 52 walks. If you want to know how the Astros could be in first place without much help from their vaunted farm system, and with little production beyond the home runs from several of the players they traded for this winter, like Luis Valbuena and Evan Gattis, start here: They conjured up two above-average starting pitchers out of basically nothing. Despite their 30-18 record, the Astros have their flaws, which is unsurprising for a team that lost 111 games two years ago. They’re on pace to strike out more than 8.9 times per game for the third straight year; only two other teams have ever hit that mark in a single season.12 Five of their nine lineup regulars are hitting .230 or less, including first baseman Chris Carter, who’s hitting .177. And they have made questionable decisions. This winter they traded three prospects to Atlanta — one of whom, Mike Foltynewicz, is already establishing himself in the Braves’ rotation — for Gattis, who lost positional value when the Astros moved him from catcher to DH, and who’s lost offensive value by hitting just .218 with a .251 OBP, albeit with 10 homers. They declined to protect former first-round pick Delino DeShields13 in the Rule 5 draft last December, and he was selected by Texas. Small sample size caveats apply, but DeShields is hitting .264/.373/.368 with 11 steals for the Rangers already, and he’s just 22 years old. But despite their flaws, the Astros have a six-game lead in the division and are well-positioned to remain the favorite in the AL West this season. The poor quality of competition within the division is certainly a huge part of that calculus; there’s a reason the Astros have a six-game lead in the division. The Angels decided to play morality cop with Josh Hamilton, and by sheer coincidence their left fielders have hit a combined .186/.254/.302 this year. The Rangers should benefit from Hamilton’s addition now that he has joined the team, and they have bounced back nicely from last year’s injury apocalypse, but Yu Darvish’s absence remains a crippling blow to their title hopes. The Mariners still have no clue how to develop hitters, and if they can’t rank higher than 25th in runs scored with Nelson Cruz hitting .339/.392/.678, it may be time to wonder if they’ll ever hit under current management. And the A’s, who are 18-32 despite having been outscored by just four runs all year, have suffered such an incredible run of bad luck — they’ve lost 27 of their past 32 one-run games going back to last August 14 — that it may not be long before Billy Beane considers punting on this season by flipping assets again. While the Astros’ flaws may hold them back, they also represent an easy opportunity to improve. Carter won’t be allowed to hit .177 for long; either he’ll improve or the team will replace him with someone else. 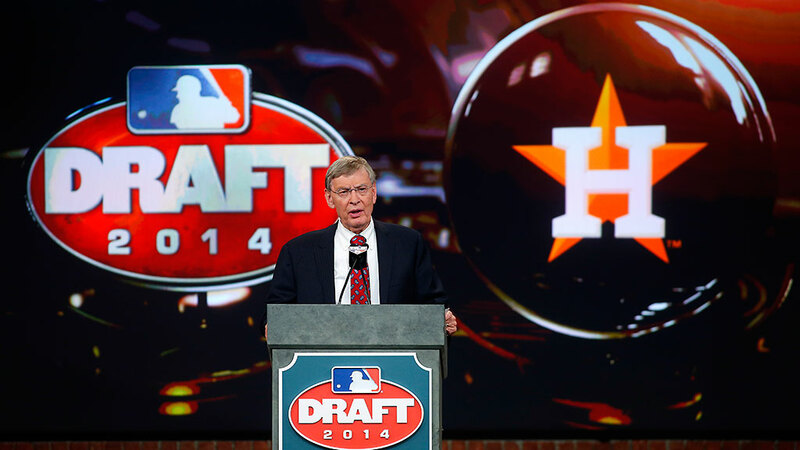 And that’s the thing about the Astros: They have lots of someones to pick from. Jed Lowrie, who signed a three-year contract as a free agent this winter and was the Astros’ best hitter (.300/.432/.567) before he tore a thumb ligament in late April, should be back after the All-Star break, and the Astros have lots of potential additions who could be up a lot sooner than that. Start with Singleton, who has responded to his minor league demotion the way the Astros hoped: He’s hitting .277/.383/.614 in Fresno, and figures to get another crack at first base sooner rather than later if Carter continues to struggle. Lance McCullers, a supplemental first-round pick in 2012, was called up to make a spot start on May 18 after five dominant starts in Double-A, and the 21-year-old has looked so good so far that he may have earned a permanent spot in the rotation. 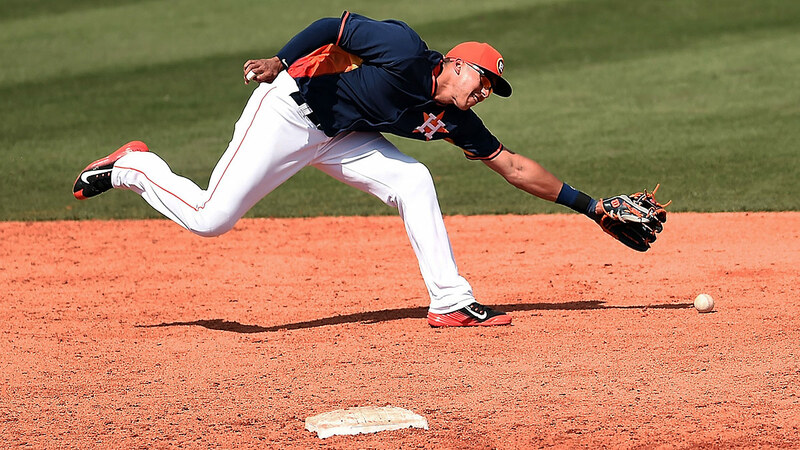 And the gem of the farm system, Correa, is the best prospect in the minor leagues right now according to Keith Law. After hitting .385/.459/.726 in Double-A, and now hitting .270/.347/.476 in Triple-A, he should be the Astros’ starting shortstop well before he turns 21 in September. The Correa draft is a perfect example of why the Astros’ meticulous draft dollar resource allocation can work, and why it was worth risking the egg they got on their face last year. Correa wasn’t the consensus best player in 2012, but the Astros cut a deal with him that guaranteed him $4.8 million as the first pick but kept the Astros millions under slot, leaving extra money that they then used to sign other draft picks over slot, chief among them McCullers. They also drafted Preston Tucker in the seventh round that year, and while Tucker was a college senior who lacked negotiating leverage and didn’t get over-slot money, he has done nothing but hit since turning pro. He was ranked by Baseball America as just the Astros’ no. 14 prospect before this season despite a career line of .294/.364/.495. But Tucker was promoted after hitting .320/.378/.650 in Fresno to start this season, and in 16 MLB games so far has hit an impressive .306/.393/.531. He has little value beyond his bat, but he looks like a useful addition to the OF/1B/DH carousel. All of these players seem capable of helping the Astros on the field at some point in 2015, and there’s more where they came from. Prospects that are further away from the majors, like right-hander Michael Feliz or third baseman Colin Moran or left-hander Josh Hader or outfielder Domingo Santana, could be dealt for veteran help if and when Luhnow decides it’s time to step on his AL West rivals’ throats. And Appel, who is as much of an enigma as ever with a 6.03 ERA in Double-A, still has the stuff to dominate if he ever figures it out. That’s why the rest of the AL West should be very concerned about the staying power of these Astros, not just in 2015, but for years to come: They’re playing this well before the cavalry has arrived. (Or in the case of Correa, the heavy artillery.) Plus, two of the finest minor league talents in the Astros’ portfolio haven’t even joined the organization yet. 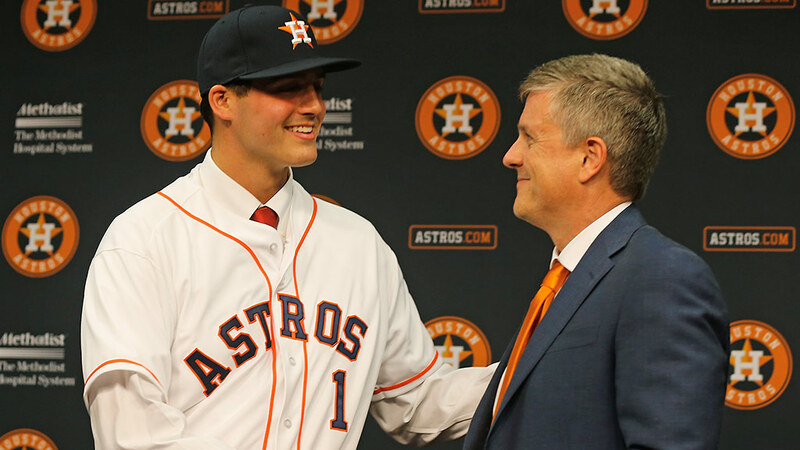 The Brady Aiken Debacle may have been a PR nightmare, but its on-field impact is much less significant, because thanks to the new CBA rules, as compensation for not signing the first pick in last year’s draft, the Astros get … the second pick in this year’s draft. They also earned the no. 5 overall pick by going 70-92 last year, giving them two of the top five picks in next month’s draft. No team has ever had two of the top five picks before. Based on historic trends, and assuming the Astros don’t get tripped up by a physical again, their two picks should turn into a top-30 and a top-100 prospect when next year’s rankings come out. Along with all of the prospects and young players that the Astros have amassed, they also have the payroll flexibility that comes from having a bunch of pre-arbitration, minimum-salaried guys on their roster. Their $72.5 million Opening Day payroll — nearly triple their 2013 payroll! — ranked 29th in baseball, ahead of only the Marlins. Comcast SportsNet Houston going bankrupt was a well-publicized debacle (yes, another one), but the Astros still play in the fifth-largest TV market in the country and can sustain a payroll twice the current size. The Astros have the ability, if not the desire, to sit at the big boys’ table in free agency. As the Astros survey the landscape nearly a third of the way through the season, they’re probably acutely aware that they’ve been a little lucky so far — lucky to be 30-18 (their Pythagorean record, based on their run differential, is 27-21), and lucky to be in a division where no other team is above .500. So it might be tempting for the front office to think of 2015 as house money, to stay focused on building for 2016 and beyond, and to treat a playoff run this season as a pleasant fringe benefit. But if it’s true that the Astros have benefited from good fortune this season, it’s also true that fortune favors the bold. No team should be so committed to its rebuilding plan that it refuses to alter its course when a division title presents itself years before anyone thought it possible. The Astros have enough major-league-ready talent in the minors to solidify their hold on the AL West this year — and they have enough additional talent coming through the pipeline, and enough money to burn in the future, that making some small sacrifices to win this year shouldn’t derail their plans to win for several more years to come. If they haven’t already, it’s time for the other teams in the AL West to take notice: There’s a new power in the division, and it’s not going to fade anytime soon. The Astros were long a laughingstock, but there’s nothing funny about them now. Not the claim that they can win the division in 2015. And certainly not the claim that they could win a few more division titles after that. An earlier version of this story incorrectly stated that no team had ever had two of the top 10 picks in the MLB draft before. You’ll notice that the A’s and Phillies played in short seasons. Since shorter seasons tend to produce more extremes in wins and losses, simply pro-rating their records to 162 games wouldn’t account for the regressions that inevitably occur in a season. To simulate that smoothing-out process, let’s assume that both the A’s and Phillies played .500 ball for all of the missing games. Not to mention the guys whom the Astros developed but let go before they became established: Bobby Abreu (lost in the 1997 expansion draft), Freddy Garcia and Carlos Guillen (traded for a half-season of Randy Johnson), and Johan Santana (lost in the 1999 Rule 5 draft). Since 2000, the Astros have signed just two players in the draft who have amassed even 10 Wins Above Replacement in the majors: Ben Zobrist, whom they dealt in a terrible trade while he was still in the minors, and Hunter Pence, whom they shipped to the Phillies in 2011. Unfortunately for them, the shiniest gem of all was the one who got away: The Astros released J.D. Martinez just before the 2014 season, and he’s hit .298/.349/.525 in a Tigers uniform since. Which is not the same as a player signing a long-term contract when he enters pro baseball, as do many Japanese and Cuban players as well as a few top draft picks. The only hitter with more plate appearances and a lower batting average in the past 100 years was Adam Dunn, who hit .159 in 2011. Before the season, ESPN ranked all 122 pro teams in the big four sports based on their use of analytics, and the Astros came in second, behind only the similarly-tanking-with-a-purpose Philadelphia 76ers. Feel free to place scare quotes around that word given our performance. NOTE: Offer may not be valid in Detroit. With a club option for just $3.5 million in 2016. The 2010 Diamondbacks and 2014 Cubs, and they didn’t have a DH. Technically not a Jr. — he and his dad have different middle names. Including the postseason. As if I could have left that out.